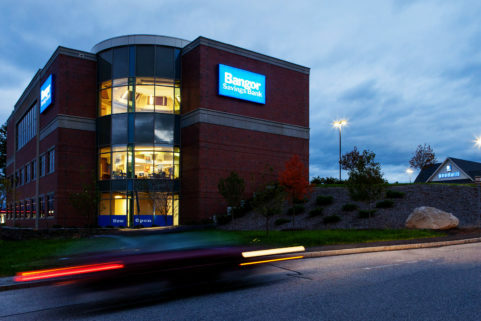 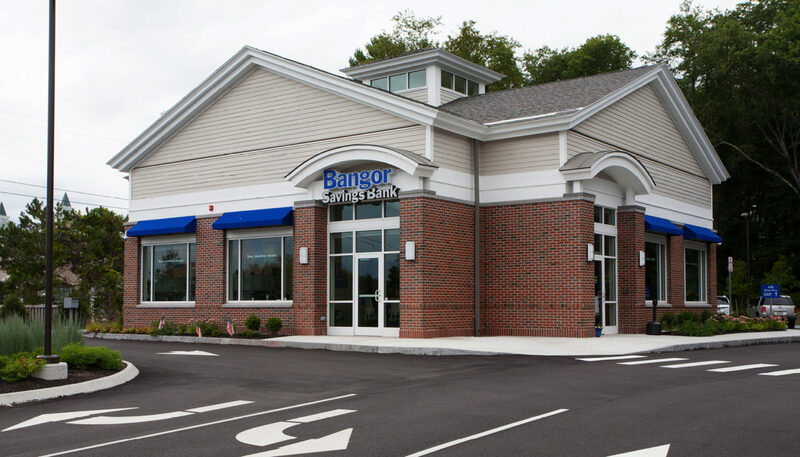 Bangor Savings Bank’s new branch in York, Maine, embodies the institution’s welcoming, interactive brand identity. 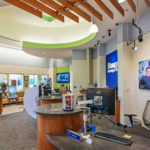 Like Augusta, this location features pod-style stations and secure cash recyclers. 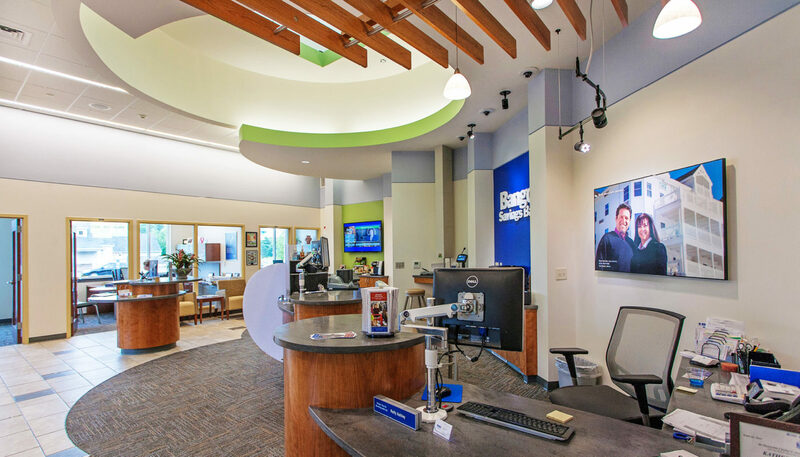 The curved pattern of the floors and ceiling soffits help define transactional spaces. 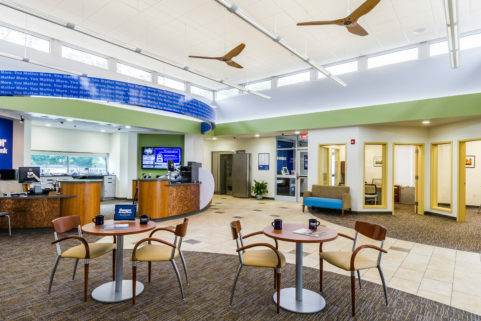 A cupola with a two-story light provides diffused daylighting. 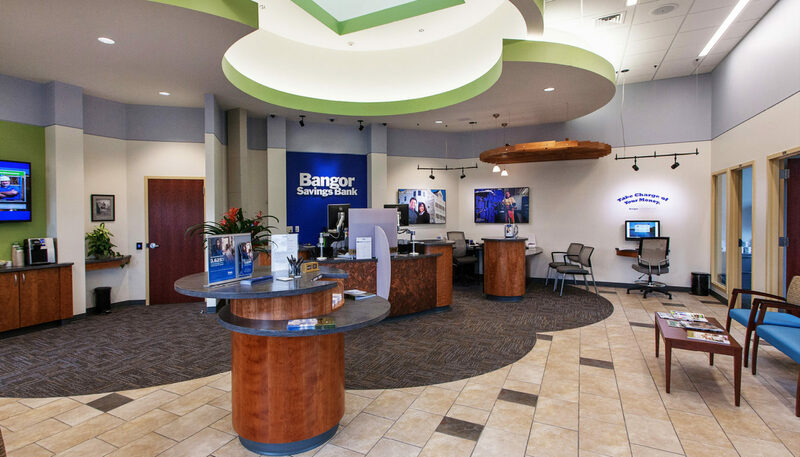 This is combined with overhead and task lighting that, like the ceilings and floors, help define the space. 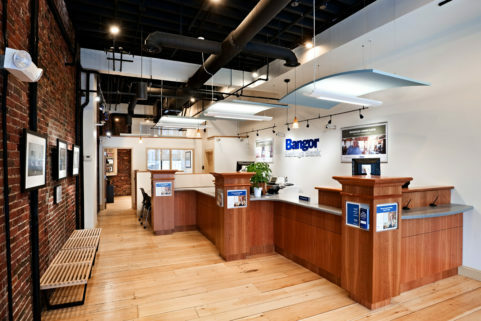 Glass office walls enable staff to see and respond to waiting customers. 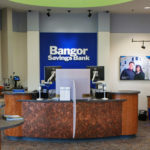 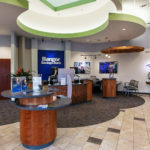 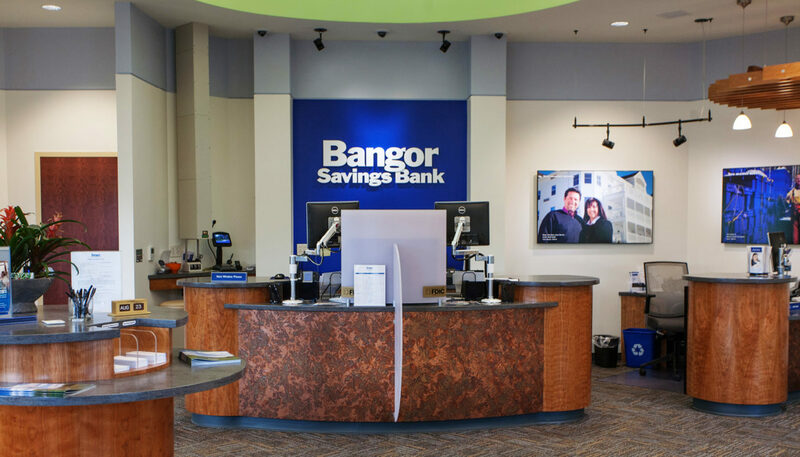 Custom interior signage and a dedicated computer for self-service online banking make this an innovative extension to the Bangor Savings Bank brand. 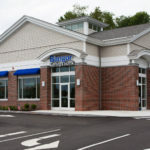 Programming for the branch included vestibule, lobby, teller pods, four offices, conference room, work room, break room, and areas dedicated to IT, mechanical infrastructure, and maintenance. 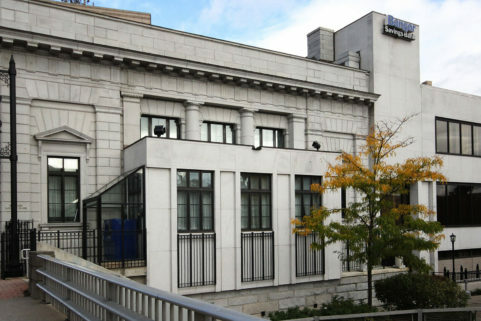 The energy efficient building includes LED lighting and geothermal heating and cooling.